With so many discoveries over the years, science is literally changing our minds about the optimal care and feeding of the brain. All of it is captivating. A great deal of it is unexpected. You may already be experiencing the sometimes-unpleasant effects of the aging process. Or you may be deeply concerned about your loved ones who are. 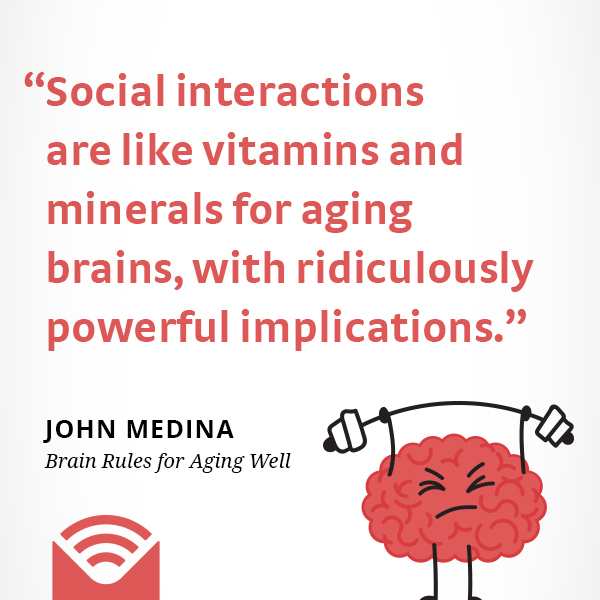 Either way, Brain Rules for Aging Well is for you. Pre-order the hardcover today from your favorite bookstore and you'll get it by October 3rd. Listen to a preview of the audiobook. Is it true that musicians are better at detecting emotion? There is evidence that musicians are better at detecting emotion. One of the most striking experiments involved a group of English speaking musicians and English speaking non-musicians. They were exposed to a language they could not speak - the researchers chose the Philippine language Tagalog - with speakers talking in emotionally competent ways. Watch the video. 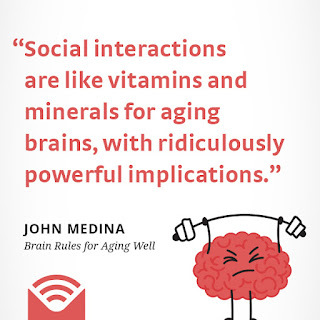 Learn more about Brain Rules or listen to the digital audiobook on Libro.fm.